This is less of a review and more of a window into the life of an obsessed doll collector. 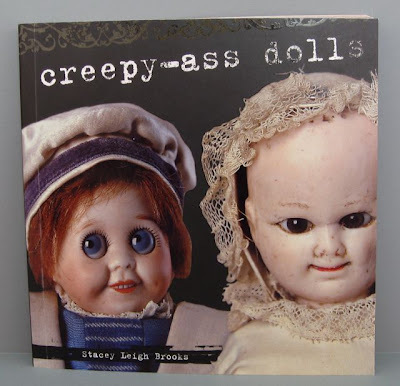 The doll journey I have been on during the last few weeks is not really in keeping with my normal collecting habits, and yet it highlights some of the things I love most about this hobby--the rich history of doll-making, the incredible diversity of dolls available to us today...and a little bit of silliness. Let me tell you what happened and what I learned along the way. J-Dolls are highly articulated 9-inch plastic fashion dolls that are made by the same company that makes Pullip dolls. If you've ever admired a Pullip doll's style and articulation but been turned off by the oversized noggin, a J-Doll might be a nice alternative. In a nutshell, J-Dolls are Pullips with shrunken heads. J-Dolls were first made in 2006 by Jun Planning Co, Inc. As with their Pullip cousins, manufacturing changed hands in 2009 when the Japanese branch of Jun Planning declared bankruptcy and the production of the dolls moved to Groove, Inc. In the United States, Jun Planning and Groove seem to be linked, with Groove USA a subdivision of Jun Planning USA. There were three new J-Dolls in 2012 (including this French beauty), but no releases for 2013 yet. The J-Dolls are named after streets throughout the world that symbolize high fashion. Each doll's outfit reflects the character of the particular street she's named after. For example, Sunset Boulevard is near the ocean in Los Angeles and the doll with that name kind-of looks like a mermaid. Some of the associations are lost on me, though. The stunning Via Appia doll is named after an ancient Roman road, but she looks more like a cross between a World War 2 nurse and a pirate. Ever since Chloe mentioned the new Bratzillaz "Switch-A-Witch" sets in the comments of the talking Merida review, I have been watching for them at my local stores. 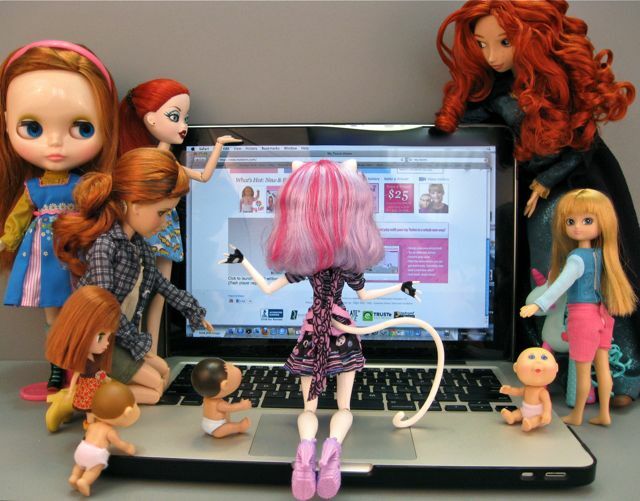 I guess it's time to admit that I have become a bit of Bratzillaz fan...which is unexpected. Also, I am fascinated by MGA's blatant copy of the Create-A-Monster idea. It's shameless. Not only is the concept nearly identical to that of Mattel's Monster High mix-and-match line, but even the packaging looks the same. I found my Switch-A-Witch set at Target, right next to the Create-A-Monster sets, and it would have been easy for someone to get confused between the two. One notable difference on the day I was shopping was that the witches were on sale ($19.99 down from $29.99) while the Monster High sets were not ($26.99). I am not a big fan of the Create-A-Monster sets. I had an afternoon of fun with the Create-A-Monster Design Lab, but was disappointed by the Werewolf & Dragon starter set. I thought it was short-sighted for the starter sets to include two heads but only one torso (Mattel has fixed that with their newer sets). Also, the wig was awful and I didn't end up creating any dolls I wanted to keep. 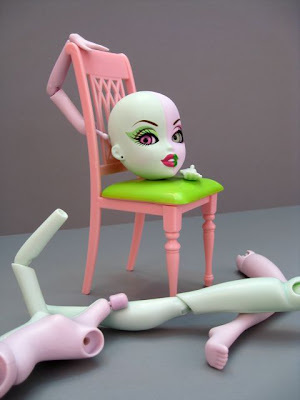 So, I was very curious to see if MGA could take this fantastic idea and actually make a fun toy that preserves some of the critical elements of Bratzillaz charm. We'll see. If you’d asked me a few weeks ago, I would have said that the chances of my doing a My Twinn review were next to zero. I’ve never been very interested in the My Twinn dolls. My Twinn is known for selling 23" play dolls that are custom made to resemble a specific child. I guess it has always seemed like such a hassle and a gamble to have a doll custom made. The catalogue pictures of girls with their matching dolls are pretty amazing, but the faces of My Twinn dolls are dangerously hit or miss—some are wonderful, some are not. The bodies also look funny to me in some pictures, but I always assumed these shots were the result of a tall doll in a bad camera angle. In the end, the price has simply been too high to take a chance that I might not like the end product. So why am I writing a My Twinn review now? It’s a bit of a convoluted story. It all started because I have been getting serious about the purchase of an American Girl. 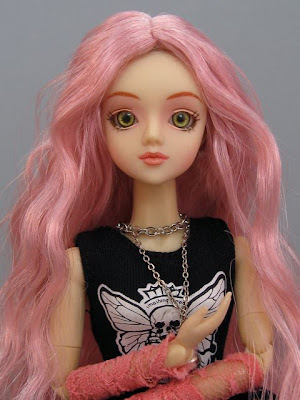 It would be very helpful to have one for comparisons to dolls like Karito Kids and Carpatina. Last week, I was debating which American Girl I should choose. Saige, the Girl of the Year for 2013, seems perfect. She loves horses (just like me) and has red hair (like I wish I had). I stumbled across this amazingly helpful post on Never Grow Up, though, and it convinced me that I actually prefer Josephina’s face mold and might want her (or Rebecca) instead. Hmm. So, I was looking at Saige’s horse and being massively indecisive, and then I remembered that My Twinn horses are better than American Girl horses and that got me wondering if My Twinn was still in business. Last time I checked (in 2009) there were rumors of bankruptcy. So…I headed over to the My Twinn website to scope things out. That was the last my family saw of me all weekend. My Twinn takes over the house.